A friend just posted this chart to their facebook wall, and it reminded me that I meant to finish a follow up to a previous post on what to say to kids wearing glasses. As one person pointed out in that post, comments are even harder on kids if your child is wearing a patch. Normally, I love pie chart gags, but I don’t actually find this one funny. The pictures illustrating this are from our patching photo gallery. 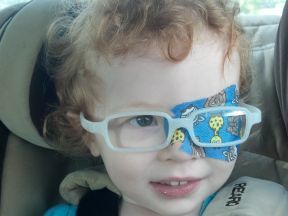 Easton is 2 years old and has been patching his entire life. 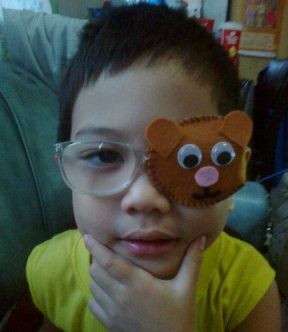 He was born with PHPV and had a cataract removed at birth. He wears a contact lens to see and patches 8 hours a day. 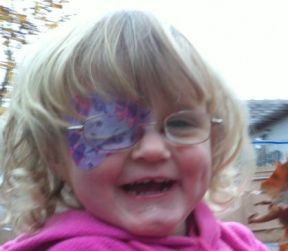 There are a few reasons why a child might be wearing an eye patch. They may have injured their eye, or they may be recovering from surgery (for instance, cataract surgery). I suppose it’s possible that they may just be wearing one for fun, like at halloween or a dress up party. But the vast majority of kids wearing an eye patch are doing so as treatment for amblyopia (also known as “lazy eye”) or to prevent amblyopia. With amblyopia, the visual pathways between an eye and the brain are not functioning correctly, so even with glasses or contacts, the vision in that eye is not as good as it should be. It can be caused by a number of reasons, misaligned eyes (strabismic amblyopia), one eye having a much stronger prescription than the other (anisometropic amblyopia), or even because one eye was not seeing well for other reasons like a cataract (deprivation amblyopia). No matter what the cause, once that underlying cause is treated, there is often still a need to encourage those visual pathways between the brain and that eye to start working. The most common way to do that is through patching. By patching the good eye, the brain is forced to use the amblyopic eye. Kids who patch generally need to patch for a few hours a day, and they may need to continue the treatment for months or even years. So what does that mean for me saying something to a child wearing a patch? First of all, wearing a patch is HARD. 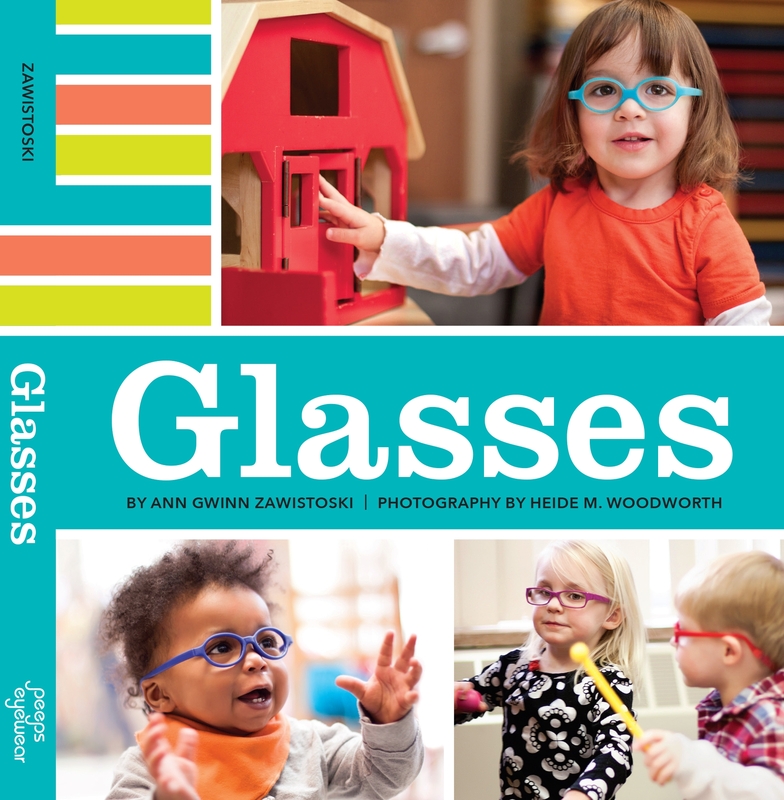 Kids who are patching for amblyopia aren’t only having to adjust to using one eye, they are also having to deal with using an eye that does not see well. Most kids really, really struggle with patching, especially in the beginning. 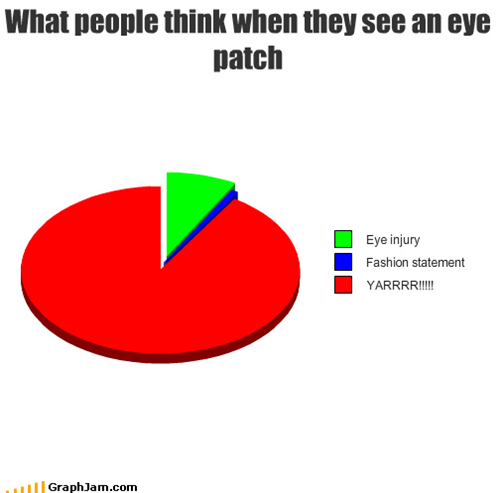 Add to that the fact that eye patches are very noticeable and people seem to want to comment on them or ask about them all the time. It can make the most easy-going child very sensitive and unhappy. 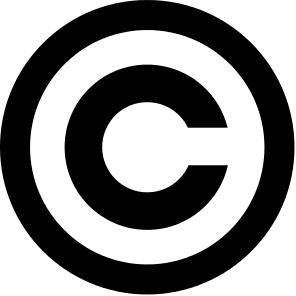 Most parents try to distract kids who are patching by letting them do favorite activities. Commenting on a child’s patch just reminds them that they’re patching, and that they look different while doing it, and it can throw off that days patching treatment completely. What’s wrong with your eye? / How did you hurt your eye? Chances are, the child is patching for amblyopia or strabismus, and there’s actually nothing wrong with the eye that’s being patched. It’s the unpatched eye that is being treated. This is one of the most common questions and not only does it get to be tiring to answer, it also focuses on there being something wrong with the child. Are you trying to be a pirate? 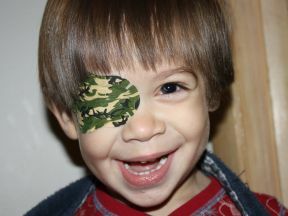 Yes, pirates are often portrayed as wearing patches, and some kids like the association with pirates. But a lot of kids aren’t in to pirates, and some of them actively dislike them because of the association with patches. Exception: If they’re wearing a pirate-themed patch or pirate clothes, you’re probably safe bringing up pirates. OK, so what should I say to a child who is patching? Whatever you want, as long as it’s not about the patch! Seriously, ask the child about their day, tell them you like their shirt or their toy, or comment on the airplane flying by. If you know them, please be sure talk to them and see how they’re doing. One of Zoe’s biggest fears when she was patching was that friends wouldn’t recognize her with her patch on. Also, no matter what you say, make sure you are making eye contact with their non-patched eye, not focusing on the patch. But what if I really must say something about the patch? Did you wear a patch, or know someone who has patched? Share that story. A lot of kids feel very alone when they’re patching. I know that Zoe really appreciated when her teacher told her about another little boy she taught who had to wear a patch. I hesitate to recommend these next two because some kids are sensitive enough that they don’t want any reminder of their patch at all. If you must say something, you might try to discreetly ask the child’s parents if bringing up the patch will cause problems. Comment on how cool the patch looks. A lot of patches have fun pictures or patterns on them. You might say that you really like the patch that they picked out. Tell them they’re doing a great job with patching. Let them know that they’re doing a great job wearing that patch and working on seeing better. Parents of patchers, did I miss any?